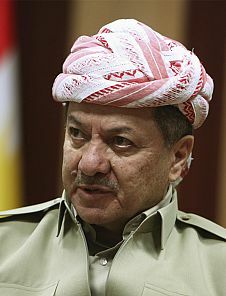 Barzani entered the political arena at the young age of 16 under the wing of his late father the Kurdish nationalist leader Mustafa Barzani and became the leader of the Kurdistan Democratic Party in 1979. He had a major role in shaping the new Iraq through his political position and by becoming a member of the Iraqi Governing Council in April 2004 after the fall of Saddam Hussein’s regime. He has been the main force fighting DA’ISH and is adamant about establishing an independent Kurdish state. He was President of the Iraqi Kurdish Region from 2005-2017, but had to resign because of fierce regional opposition to the referendum he held in September 2017 for Kurdish independence (there was overwhelming support for an independent Kurdistan). There are approximately five million Kurds living within the Kurdish region in Iraq, 14.5 million in Turkey, 6 million in Iran, and less than 2 million in Syria.